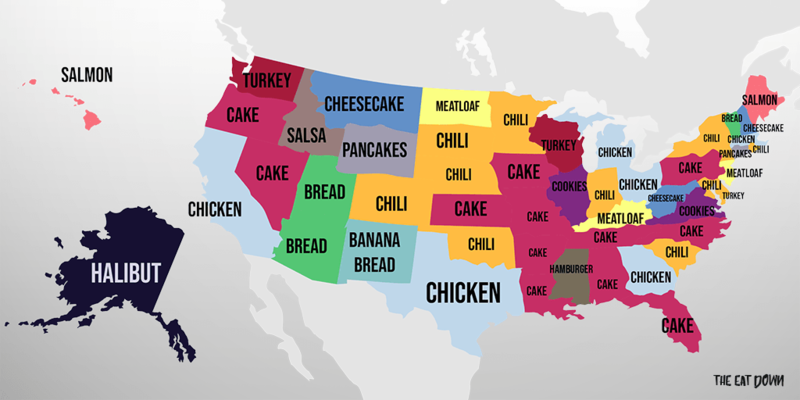 It seems that the USA is a nation of cake and chili lovers. Who knew? Obviously we know that different food cultures run deep in North America but, buoyed on by maps based around etymology and surnames, we wondered what the geography behind the country’s favorite recipes looks like. So we asked Google… what was each state’s most searched for recipe in 2018? We analysed Google Trends data for all of 2018, and looked at what recipes were most searched for for each state. 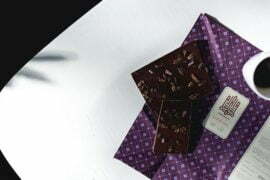 Now, sure, we all love cake but some of the results are surprising. For instance, who knew that New Mexico was populated with die-hard banana bread fans? Or that cheesecake and guacamole reign supreme in Montana? What we’re finding most striking is the trends that the map offers up, with cake and chili dominating the center of the country and slightly more unusual choices (salsa, anyone?) proving more popular in the North-West and North-West. It doesn’t stop there though: Hawaii and Maine might be over 5000 miles apart, but what binds them together is their love of salmon. The great American dinner staple meatloaf is still popular in Kentucky, New Jersey and North Dakota, while it should come as no surprise that halibut, often fished in the North Pacific, is ever popular in Alaska.